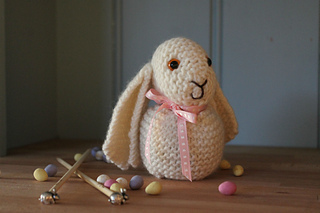 A lovely new downloadable knitting pattern to make your own cute bunny rabbit. Tools you need to make this pretty rabbit are 4mm knitting needles, Aran weight yarn and some bits and pieces to complete to your taste. Pattern includes 4 page instructions to knit and create your own bunny rabbit. Please Note - this is sent to you immediately as a downloadable pdf file, it is not send through the post.